Business world went wild on Wednesday as social media giant Facebook bought the mobile app WhatsApp for $ 19 billion. What’s even more shocking is that the money went to a group of just 55 people. WhatsApp has around 450 million active users. The numbers and the deal serve to show the power and importance social media has come to acquire in our society. Its big and everyone wants to be a part of it. The event shows what wonders innovation and handwork can achieve for startup companies. A great example of this is WhatsApp- a small mobile app company which with its innovation and simplicity, got money which is more than the annual budget of NASA. WhatsApp founder Jan Koum was born in a small village in erstwhile Soviet Union. His father was a mall construction manager and mother was a housewife. His little village house had no electricity. The young entrepreneur learnt programming from second hand books and went from sweeping the floors of a grocery store to becoming an engineer in Yahoo. 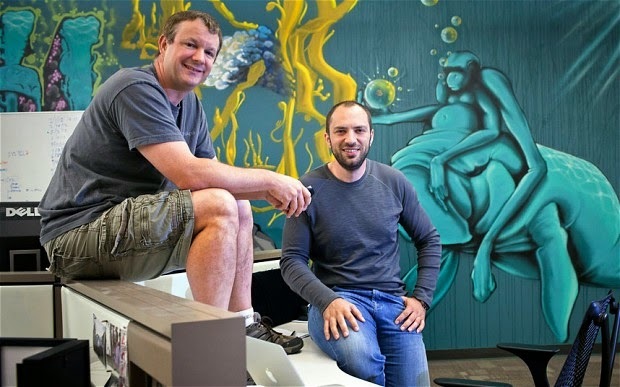 Thanks to the years spent at Yahoo, Jan Koum developed a liking for no-nonsense simplicity. Nine months after he started writing WhatsApp codes, Jan invited his Yahoo colleague Brian Acton to come on board. It is that the company’s American co-founder Acton scribbled the core philosophy of WhatsApp on a cheap notepaper. It could be summed up in just six words. No adds, No games, No Gimmicks. Instead WhatsApp did simple things that propelled the app to become a rage is its simplicity and flexibility. The app works on any device and gives a person the power to reach another individual half a world away for a ridiculously cheap price. The commitment of its founders to focus on the product is revealed from yet another example. WhatsApp shies away from advertising, relying on word of mouth and customer trust to grow the company. When asked by an employee about this, Jan Koum is said to have remarked that media spotlight might lead to loss of focus on the product. Despite refraining from advertising, WhatsApp soon began to get investment offers owing to its sheer popularity and potential to grow. The company which was started with a seed funding of $2,50,000 in early 2000s received close to $8 million in investment funds in early 2011. No doubt that WhatsApp Inc. has delivered a quality product, but the company had to go through its share of struggles in the early years. In 2010, the app brought in only around $ 5000. The founders occasionally switched the app from ‘free’ to ‘paid’ but that did nothing to stop the venture from growing. When the app was updated to enable sending photos, user base expanded despite the rather high price tag of $1. The founders than decided that WhatsApp would stay paid. It would also help the company grow at a more manageable pace. The company did not choose to expand into other products to make money. WhatsApp founder Jan Koum wants to do only one thing, and he wants to do it well.